When Christina is sent to live at Flambards, her uncle’s forbidding country house, she knows from the moment she arrives that she’ll never fit in. Her uncle is fierce and domineering, while her older cousin, Mark, is reckless and selfish. But despite all this, Christina discovers a passion for horse-riding, and finds a true friend in her gentle younger cousin, Will. 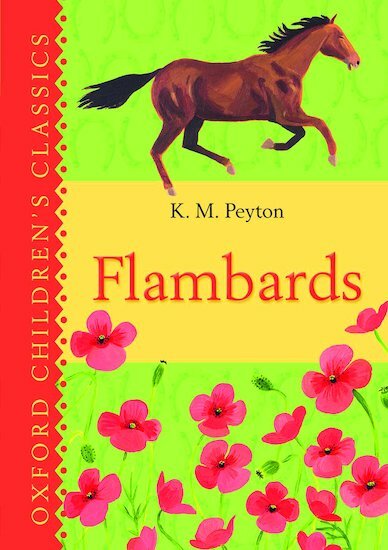 Life at Flambards may not be perfect, but what Christina still has to realise is the important part that she must play in the future of this strange household… Race into a dramatic world of riding and family rivalry in K M Peyton’s captivating modern classic, which was a runner-up for the Carnegie Medal.